When thousands of bodies were discovered in Medieval mass graves at Spitalfields cemetery, the Black Death was believed to be responsible. Then the radiocarbon dates came back. These placed the burials almost a century before the plague. Seeking an alternative explanation for the deaths, the archaeologists found historical accounts of a famine, and a tantalising link to the largest eruption of the last millennium. Did the pits contain victims of a volcanic winter? The Stonehenge riverside project leaves an impressive legacy. Between 2003 and 2009 it chalked up 45 excavations and made Durrington Walls and Bluestonehenge famous. So what do the results mean for Stonhenge? As the book drawing all these threads together is published we consider the meaning of a megalithic landscape, and ask whether it is a triumphant monument to pan-island solidarity. The enmity between Rome and the Iceni that sparked the Boudican revolt is famous. But what happened next? The traditional view has the Roman town of Venta Icenorum swiftly installed in Iceni territory to bring the defeated tribe to heel. Now, new research is revealing otherwise. First laid out some decades after the revolt was suppressed, the town did not reach its peak until the 4th century. Was it on the frontline as the pax Romana frayed once more? Finally an excavation campaign in northernScotlandhas been investigating how henge monuments spread. As well as demolishing longstanding beliefs founded on antiquarian digging, the results are stretching perceptions of henges to breaking point. 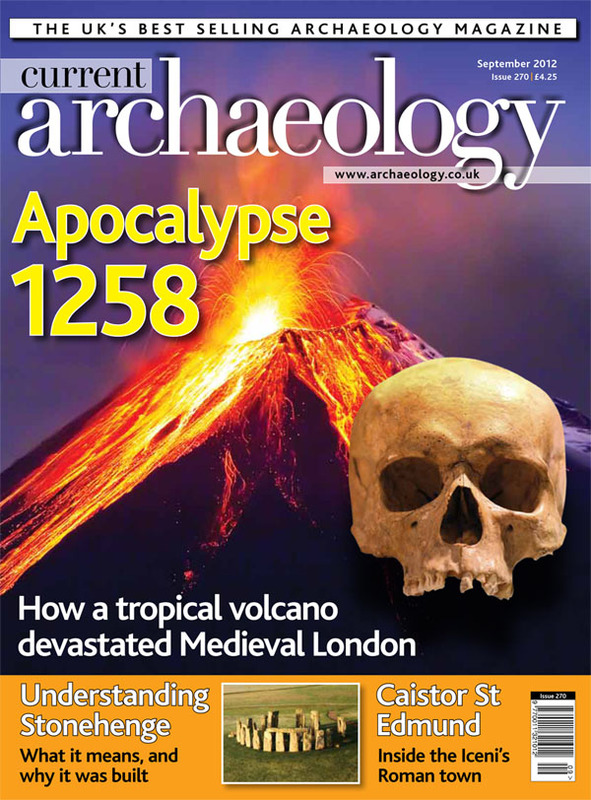 How did a massive 13th-century eruption affect Londoners thousands of miles away, and what can we learn from mass burials in the world’s largest excavated graveyard? A seven-year project, 45 excavations, and more than 500 people digging: we bring you the latest thinking on Stonehenge and its place in the prehistoric landscape. Caistor is traditionally seen as a town imposed on the Iceni by Rome following the Boudican revolt, but new research suggests its story was somewhat different. Revisiting two monuments first explored 150 years ago has stretched the conventional definition of henges to breaking point.